Well, here goes. The first blog. The site itself is a work in progress obviously, a couple hours’ work online by someone with no experience in building websites whatsoever. It will get better as time goes on. The map is a different story. I started working on the map on 3/29/16 and had no idea I’d still be working on it. Or that it’d put me in Atlas Obscura. In any case, I’m blessed that there’s been so much interest in it, both in helping me complete it, a fool’s errand, and people who like to poke around it. Thank you all! I figured since this is my first blog post, I should talk about how it all started. No not the map. I mean my interest in railroad abandonments. As you can no doubt tell from my map, Illinois is far and away the most complete on the map as far as it’s abandoned lines go with Indiana, Wisconsin and Iowa being fairly complete as well. This is no accident. I grew up in Bolingbrook, IL and as such, have an affinity for the area and what’s around it. Much like my photography skills, which albeit are still not great. 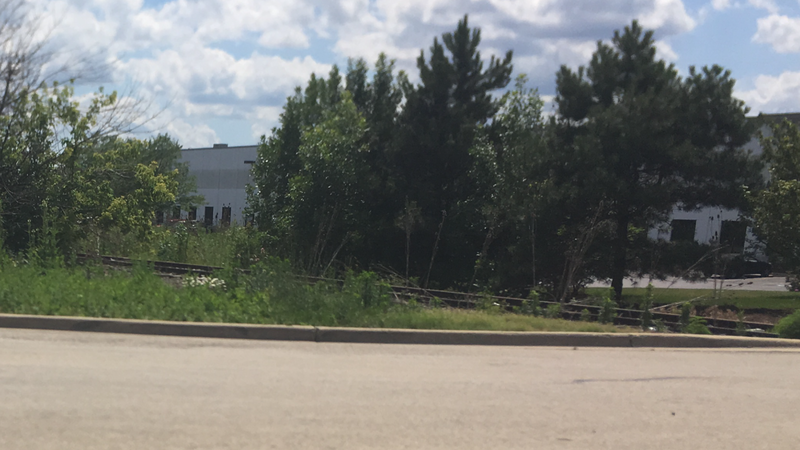 As a little kid, I had the fortune of growing up miles away from the BNSF Railway Metra Line, the “Racetrack” as railfans call it for it’s extremely busy mainline, consisting of Metra, Amtrak and Freight Trains. On top of that, the Chillicothe Subdivision passing through neighboring Lemont often meant one could hear train whistles in Bolingbrook, even though there were no train lines in Bolingbrook. Or so I thought. Shortly after moving, I discovered Bolingbrook, did, in fact have a spur from the Burlington. It was built in the 70’s along with the industrial park south of I-55. The line was nothing more than an industrial spur that served a few factories, leading from a junction near Argonne National Laboratory. In fact, Bolingbrook was probably the least interesting part of the line, as the junction is at the bottom of a bluff near the Des Plaines River. Thus, the line had a pretty significant grade to overcome. I say had, however this line is still in service east of Joliet Rd as the Argonne local, still serving customers in Woodridge, bordering Bolingbrook. It enters Waterfall Glen Forest Preserve and comes close enough to some walking paths to be able to get some pretty good photos when the daily train comes through. I never actually got to see a train traverse the line in it’s entirety sadly, and never will. While the line sat in disuse for the better part of two decades, it was officially abandoned west of Joliet Rd on April 29th, 2013. The right-of-way and trackage does still exist, however. 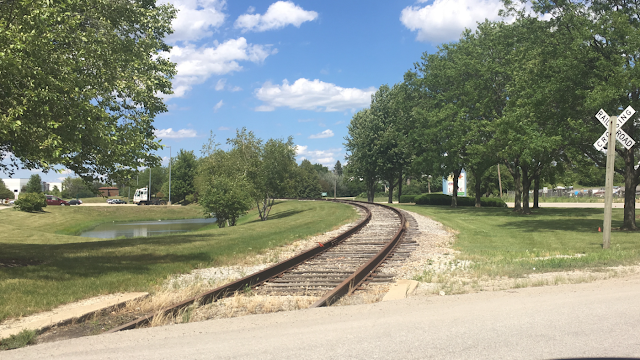 Given that the western terminus of the line is right near Old Chicago Dr. and a park and ride is located almost right at it’s end though, I think would make an interesting rail trail, especially since it would connect with an existing trail via Internationale Pkwy. Would be nice if people could figure out where the garbage cans are, however. Thanks for reading. This is the line that ultimately got me interested in railroad abandonments, being so close to where I grew up. I’m sure most railfans have a similar story of a certain line they love that means more to them than it ever will the general rail fan population. The line's northwestern terminus, immediately north of Old Chicago Dr.
During a November '18 snowstorm. Pics added after blog was published.